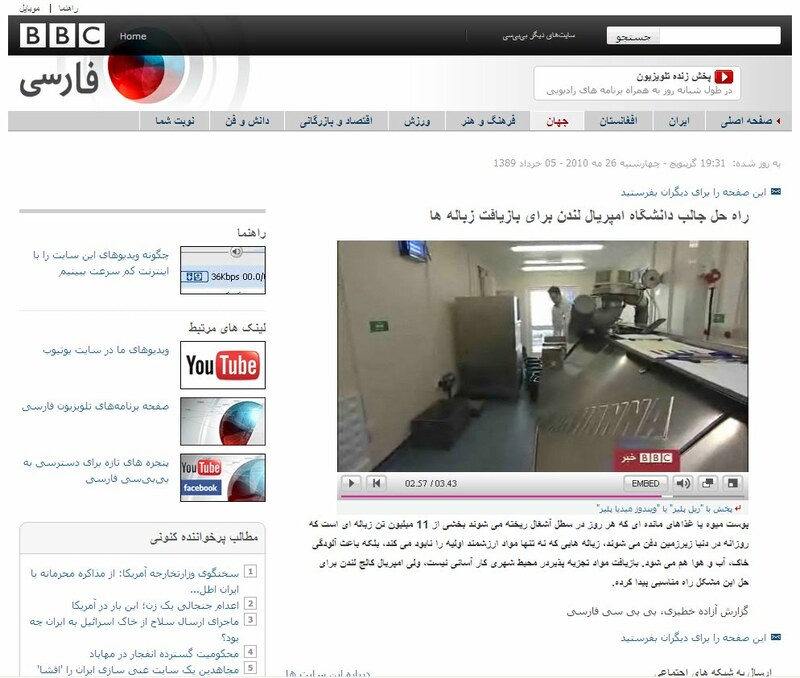 Persian BBC cover on composting with Big Hanna Composter inside the CompPod at Imperial College in London. Imperial College in London we reported earlier composts with Big Hanna Composter inside the CompPod. The coverage on their effort to minimize waste going to landfill has got so much attention they have even got the credit for inventing the Big Hanna Composter by ‘Next Generation Food’.